Top Posts of 2015! 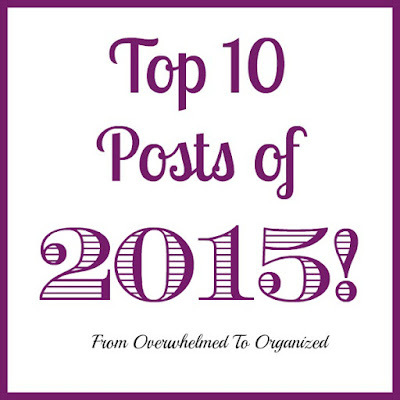 | From Overwhelmed to Organized: Top Posts of 2015! 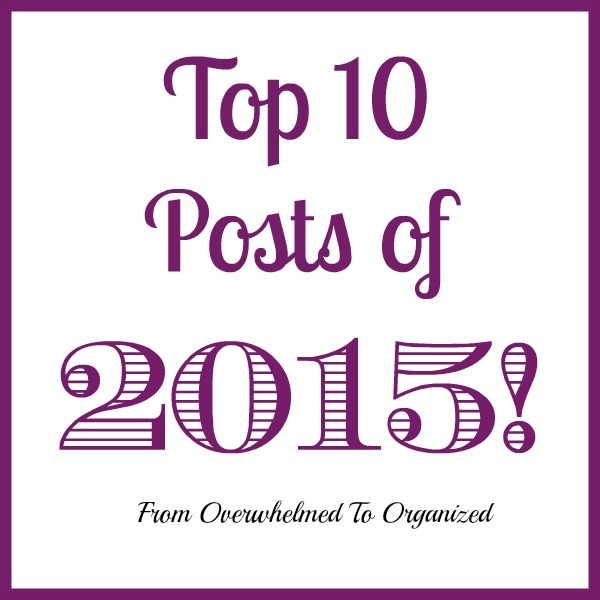 Today I want to share with you the top 10 posts of 2015. If you're a newer reader you may enjoy catching up on some of my posts from earlier this year. And if you've been following all year, you may have missed some posts, or could use the information in them more now. There's a few themes running through the year... see if you can pick them out! This was a recent series, and I think if it was earlier in the year it probably would have ranked higher... but I'm pretty happy that it ranked in the top 10! 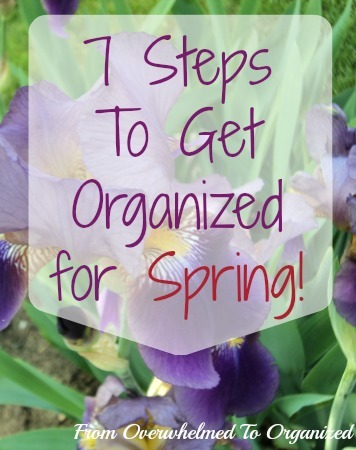 This was a guest post I did on Organizing Made Fun and I was to excited to know that it made it into Becky's top 10 posts for the year! 3. Help I Need a Flexible Cleaning Routine! Yep! Most of the posts were decluttering tips! And the rest were related to spring cleaning. Getting back control of our homes so we can enjoy them and have more time to spend doing the things we love with the people we love was clearly very important to all of you last year! Since I didn't post as often in 2015 as in previous years, I thought you might also like to see the older posts that were still read a lot last year! My series always seem to be read more than individual posts and this year was no different. Most of these posts are part of a series! This post is pinned more than any other post of mine. It also shows up in search results a lot. 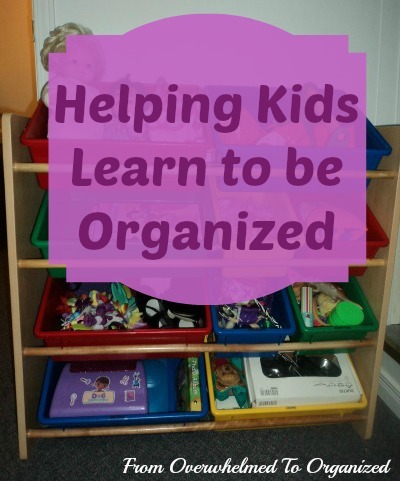 Many people need a good solution for dealing with paperwork, and especially their kids' school work. So there you have it... all the posts that were popular in 2015! It was another great year of blogging... and sharing decluttering and organizing tips with you! Thank you for all your support, comments, questions, stories, and pictures this past year! 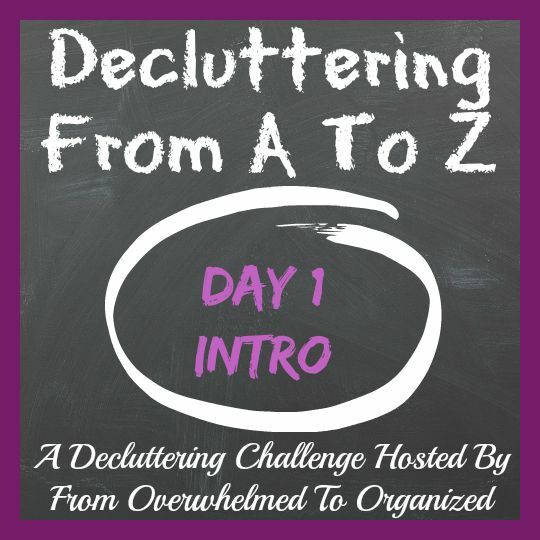 I look forward to helping you continue to go from overwhelmed to organized in 2016! Which post was your favourite in 2015? 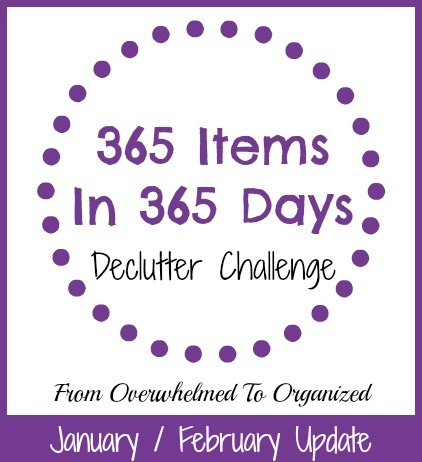 What are you most looking forward to about decluttering and organizing in 2016? Are there topics you'd like me to cover this year? 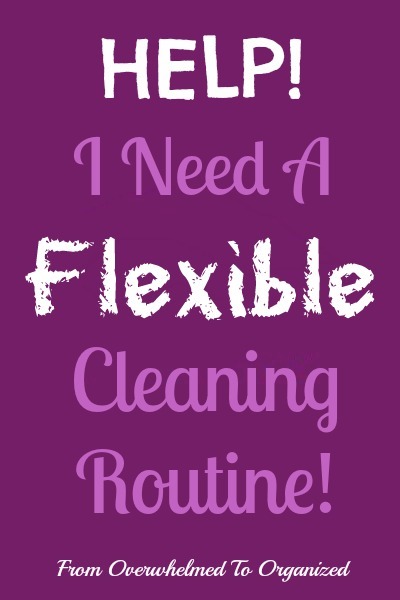 The flexible cleaning routine!! Awesome. My life changes so much that I just can't keep up with a good routine... and then I get discouraged. Some people thrive on routines Ally, but they're just not practical for everyone. I hope this flexible one will help you! 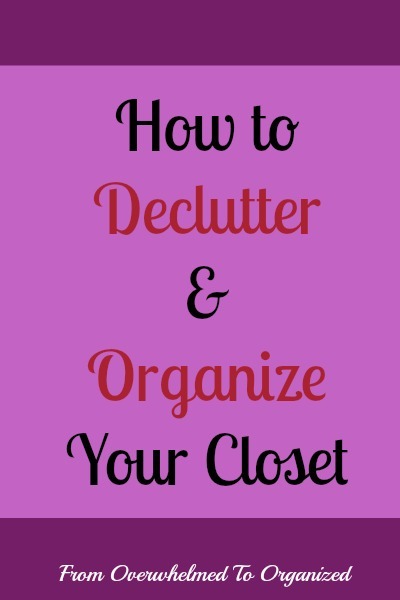 I'm loving all of your tips on here... slowly getting some decluttering done! LOL! 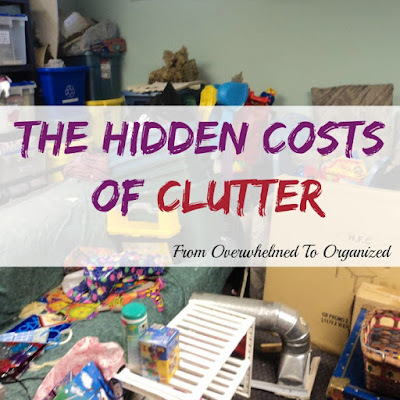 Other than not having the nice spring weather, sometimes I feel like January is a better month for decluttering and cleaning since we're cooped up inside so much anyway. 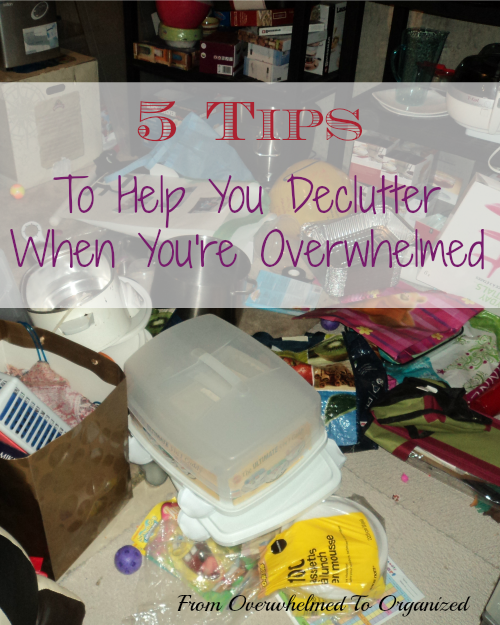 Keep up your great decluttering Danielle! The NetZero one was fun. It really triggered me to get rid of some stuff!! Yay! Glad to hear that Renz! I love recap posts. I missed the leftover paint organizing. Great idea. I love. I love recap posts too Sabrina! I always find posts that I missed. Glad you like the paint idea... it saves SO much space! I really liked the Net Zero posts! Thanks for the great round-up! Glad you liked them Sarah! It was a fun series and I was able to declutter a lot too.